In January 2012, I had the pleasure of interviewing Jim Langford of the Coosawattee Foundation. He has extensive knowledge of the area of Redbud, Georgia and has also heard a lot of the legend and folklore of the area. At one time, the Coosawattee Foundation had it's office in the house that is known as "the Crane Eater house." Our interest in speaking with Mr. Langford was to learn a little more about the house and what investigation methods were used to determine if it was the home of the Cherokee and if so, was that Cherokee named Crane Eater. Is the cabin made of round logs or hewed logs? He didn't know. They have not looked in the walls of the house. From the porch, the boards are old and there were square nails used so they think their might be an Indian house inside it but they are not certain. What is the measurement of the cabin? What's the earliest record of the community being called Crane Eater? Crane Eater purportedly lived there so he assumed since then. 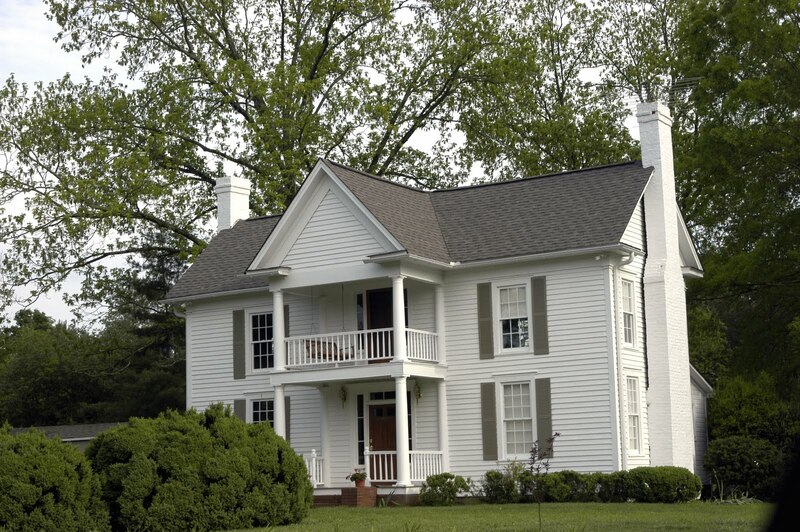 Is there any record of when the larger house was built around the cabin? How did Dr Worth conclude that if there is a cabin inside the house, that it was owned by Crane Eater and not some other Cherokee or even some later white settler? The boards and nails made them think it was Cherokee era. They used valuation, voting precincts and other Cherokee records to come to the conclusion it was Crane Eater who lived on that spot. What was the chain of ownership of the house? Mr. Langford wasn't sure but said we could get that from the courthouse. He said there was a King family who lived there before Minnie Roe. His name is in the concrete of the Mill house floor. He was not sure Maurice Thompson's (The Witchery of Archery) family ever lived in the house because he had never heard that. Mr. Langford said Dr. Worth determined Crane Eater made it to Indian Territory, therefore is NOT buried near the house despite local lore that says he is. A lot of people in the area were disappointed about that. Without my even asking, Mr. Langford offered information that someone from the Keith family came around claiming their ancestor, Sarah, a white woman, was the wife of Crane Eater, and that she allowed to stay because she was white. Mr. Langford warned me that he didn't believe there was any validity to that story.